This is certainly stylish! 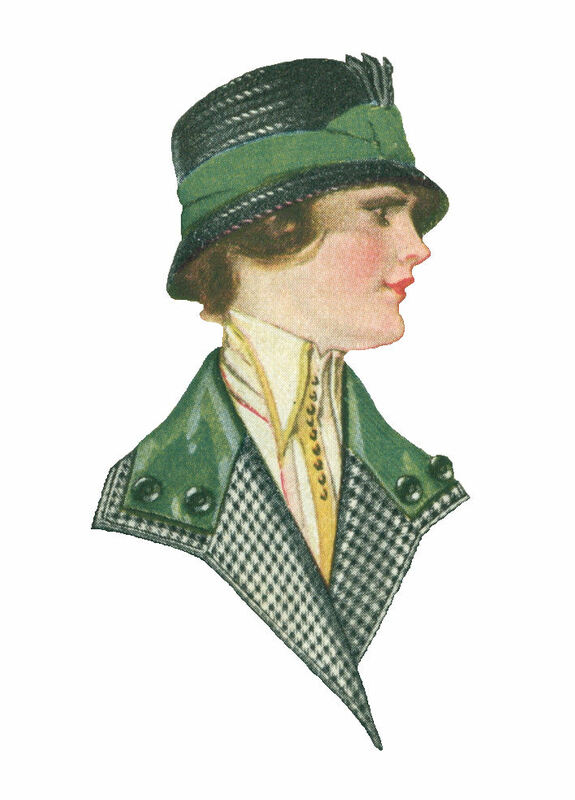 Women's vintage fashion is so elegant, and this 1915 illustration of a woman's black hat with green ribbon is incredible. I love that it matches her collar! The bold use of color and pattern in vintage fashion is fun and inspiring. The creme-colored collar with yellow accents that's coming from underneath her coat collar is a wonderful contrast with the darker colors. I love it! I've given you both the .jpg and .png files of this image. I hope you enjoy!